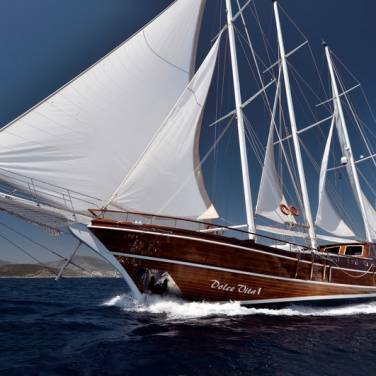 Cruising gulet Agora is perfect choice for spending a wonderful sailing holiday in Croatia. It was refurbished in order to suit an extensive range of safety requirements and to provide its guests a superior cruising experience. Its contemporary style interior features a large, spacious salon with a bar, dining area and a fully equipped kitchen. Gulet Agora can accommodate 12 charter guests in 6 comfortable and tastefully designed cabins. There are 5 double bed cabins and 1 twin bed cabin each with private en suite facilities. As with the gulet’s exterior, beautifully laid out deck areas grant plenty of opportunities for sunbathing and relaxing with family and friends. 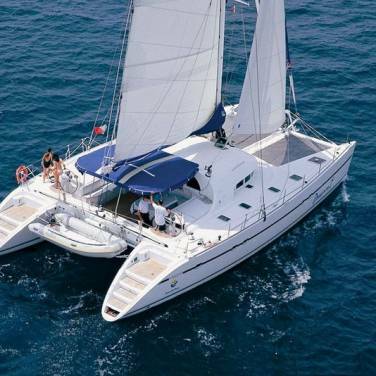 Comfortable sun mattresses as well as a lovely seating area offer multiple options for guests’ daily enjoyment whereas a delightful aft deck with a shaded dining area are ideal for gastronomic pleasures. RINA classed and with a friendly and qualified crew of four, this exceptional gulet is bound to provide an excellent charter service. For a versatile and authentic sailing holiday in Croatia, a talented chef aboard Agora will create decadent and personalized dishes to be enjoyed while exploring the Mediterranean. In order to maintain the ultimate guest satisfaction on board, gulet Agora is suitable for all sorts of water sports such as fishing, snorkeling, windsurfing and water skiing whereas many extras are available as well, including water mattresses, canoe, internet access and much more. 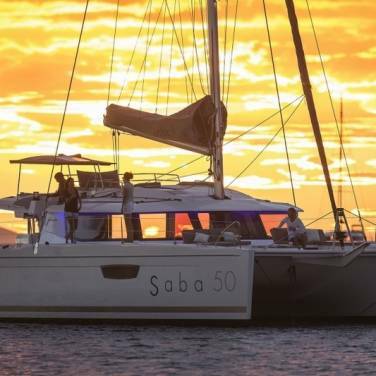 Discover the sunny stretch of beautiful Croatian islands and indulge your passion for sailing aboard gulet Aborda that offers an irresistible blend of attentive service and every modern comfort in stunning Mediterranean settings. Drinks and beverages are available from yacht’s bar by the bar price list.